In the fall of 2015, Alanzo Moreno from TheMaking.org joined us for a burrito project. 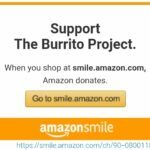 He interviewed Alan Pinel on when he started volunteering with The Burrito Project and how what the project means to him. 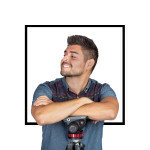 Alanzo Moreno is a creative Southern California native with a Masters degree in Business Administration fusing artistic skill with marketing know-how in delivering digital forms of communication for innovative and trendsetting clients in various industries. You can check his work out here: www.TheMaking.org.